Another variation of Molagootal with cabbage. 1. Wash the toor dal and cabbage. Add 2 cups water, turmeric powder and mix it. Pressure cook the dal and cabbage till soft. 3. 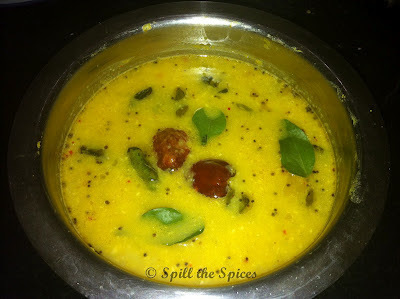 In a vessel, add the dal and cabbage. Boil for 2-3 minutes. Now add the ground coconut paste and salt. Mix well and boil for 5-6 minutes and turn off the heat. Nice recipe. Happy to follow you.